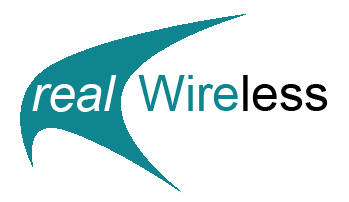 realWirelessband – Our realWireless solution extends our technological connectivity options to a wireless platform. We offer both shared and non-shared bandwidth options. Our wireless network is carrier-grade with an uptime of 99.98%. This means we are able to provide connectivity comparable to services like leased-lines at a fraction of the cost. Because our wireless network runs independent of third party providers, we are able to deliver services within 2-3 days. Wireless circuits are flexible and scalable in nature, enabling customers to scale bandwidth at short notice or even relocate their connection for a small fee. Have a look at the Packages tab for more information on the package options we have. For our realWirelessband, we offer the following Capped solutions. We are now offering free Nighttime Data on all our packages. * IP Addresss: D - Dynamic , R - Routable. Static routable addresses are also available at an additional fee. * IP Addresss: S - Static , R - Routable. FUP can be overwritten by loading a top-up voucher. Should you run out of Cap (or your quota), you can easily top up with our option below. We offer the lowest per meg top-ups. Top-ups are valid for 45-days from the date of activation. For installation costs and a wireless device/router please contact our Customer Services team for assistance. Terms & Conditions apply. Don't worry about making the wrong package choice, you can instantly upgrade/downgrade at any point should your needs change. It's just our way of keeping it "real"! realWireless is available in most locations in Mbabane. We will be expanding the network to cover a better part of Swaziland over the next few months. For additional assistance please contact our Customer Services team. We are now offering Anytime & Nighttime data. This is strictly available to all Capped realWireless, home and business users. Nighttime data is available daily from 8pm to 7am the following morning. It is also available all weekend from Fiday Midnight to Sunday Midnight. 1. Anytime data is used from 7am to 8pm during the week. If it happens that you exhaust your Nighttime data but still have Anytime data available you will be granted access to the Network until you exhaust your Anytime. 2. If you exhaust you Anytime data, but still have Nighttime data, you will be granted access to the network from 8pm to 7am during the week, additionally you will have access from Friday Midnnight until Sunday Midnight, provided you do not exhaust the Nighttime data. Please contact our Customer Services team for assistance for any additional assistance.